These prints are made at our location in Seattle, WA. They have a thick, white backing board and are sealed in clear bags. Each is suitable for framing at 11 inches x 14 inches or can be used as is for wall display. 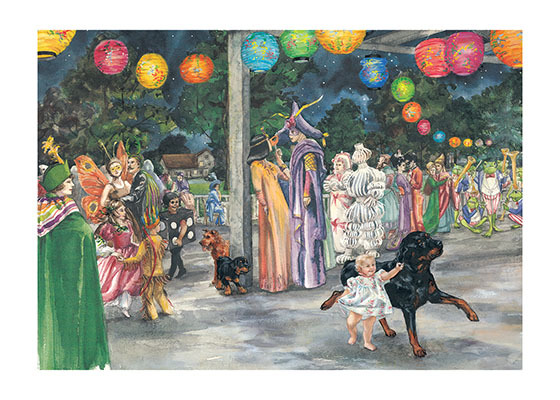 This image comes from the book Carl's Masquerade.